Our association provides you with a forum to express your opinions and concerns through meetings, committee work, and year-round communication with the board. It also provides you with a collective voice through which to communicate important views and ideas to agencies, non-profit groups and business on topics of concern to the flowage and Trude Lake. The association is a community of people that volunteer their time to work on important issues such as water levels, fish habitat, water quality, invasive species and education. 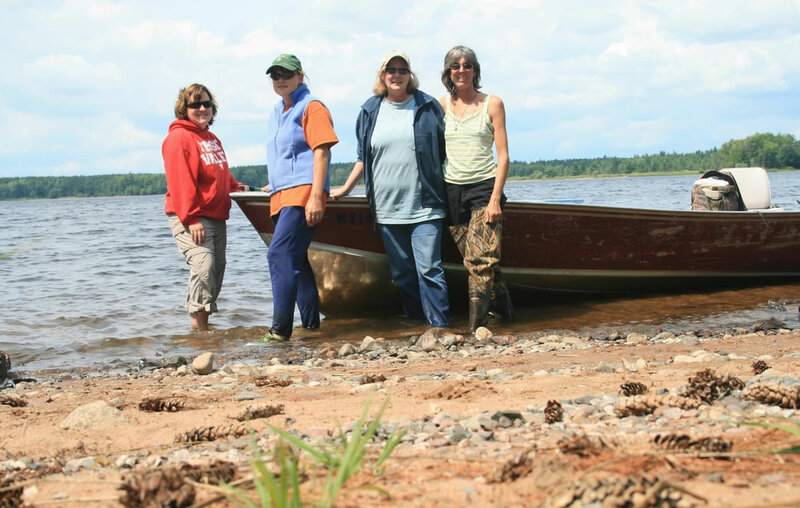 They are people like you that want to maintain, protect and enhance the quality of the flowage and state scenic waters area for future generations. The association was started in 1996 and has over 175 members, representing more than one-half of the property owners around the TFF and Trude Lake. We are organized as a non-profit, non-stock corporation under Chapter 181 of Wisconsin Statutes, and are an exempt organization under section 501(c)(4) of the federal tax code. Annual membership dues are $25 for the period July 1 to June 30. Any amount over $25 will be directed to the general fund. Your dues include a subscription to the association newsletter Driftwood, which is published twice a year. Membership dues also go towards supporting the association’s website, TFF-TL membership in the Wisconsin Association of Lakes, and offsetting costs needed to keep the association running. Membership is open to anyone that owns property within one (1) mile of the TFF and/or Trude Lake. Special membership is available to those who support association goals and activities, but do not own such property. Special members get the same benefits as regular members, except that special members cannot vote on association matters or serve as directors or officers.